The Impact LLC accepts men and women of all majors, disciplines, and professions who share a passion for educating and serving others. This includes education, healthcare, business, music, engineering, religion, etc. We accept incoming freshmen, transfers, current Baylor students, and international students! We do not accept graduate students. Do I need to pursue a degree in Education to live in the Impact LLC? No. The Impact LLC is open to all majors and minors. We believe in Baylor’s mission "to educate men and women for worldwide leadership and service by integrating academic excellence and Christian commitment within a caring community." Therefore, every Baylor student is called to serving, mentoring, and educating others. Tell us more about your passion for educating and serving others in your application. Is South Russell open to men and women? Yes! South Russell houses both men and women. Are freshmen allowed in the Impact LLC? Yes! Freshmen are encouraged to be a part of the Impact LLC. In fact, 90% of our hall is reserved for incoming students so that our freshmen have the true first year experience with the benefit of upperclassmen role models. I am interested in Greek life at Baylor. Is the Impact LLC a good fit? Absolutely. Many of our students will be involved, not only in Greek life, but with many various campus organizations and activities. We encourage such involvement and hope each of our students makes the most of the opportunities they are given at Baylor! Do I have to live in South Russell in order to be a part of the Impact LLC? All students accepted into the Impact LLC are required to live in South Russell. Our aim is to foster a strong community in South Russell! How much does joining the Impact Living-Learning Center cost? Programming fees are $75 for each semester. This will be charged to your Baylor bill at the beginning of the semester and will be used to fund programs and opportunities for you! If I study abroad one of the two semesters I am in the Impact LLC, can I still apply? Yes, but your acceptance would be on a case-by-case basis due to you leaving for one semester. What are the requirements for living in the Impact LLC? We expect a level of participation from each of our members through attendance at programming and sponsored events. We will have monthly dinners throughout the year and hope that all LLC members will engage in these exciting opportunities for community growth. A demonstrated support of the Impact LLC events through the attendance of miscellaneous programming is expected, though there are no formal requirements for participation. Can I live in South Russell if I do not join the Impact LLC? South Russell hall is designated specifically for the Impact LLC. Rooms will only be open to non-Impact LLC residents if spaces are still available after filling the hall with Impact LLC students. To ensure your placement in South Russell, apply for the Impact LLC! Upon acceptance, we will guarantee you a place in South Russell with the Impact LLC roommate of your choice. Please refer to our Apply site. Essentially, the sooner you apply, the better! Rooms are limited and once they are filled a waiting list will begin. I am having trouble with my application. Who do I contact for help? Please contact the Program Director for assistance. Their contact information can be found on the "Contact" page. I have already been approved to the Impact LLC, but I have decided to switch my major. What do I do? No problem! Because our hall is open to students of all majors, you do not need to alert us of any change in major. I have been approved to the Impact LLC but I decided to choose a different living option. What do I do? Please contact the Impact LLC Program Director as soon as possible. This will help us to place other students who may be waiting for the hall as soon as possible! 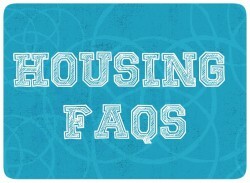 Please also change your preference in the housing application. I already applied and have been approved to another residence hall on campus, but now I have been approved to Impact LLC. What do I do? Nothing! 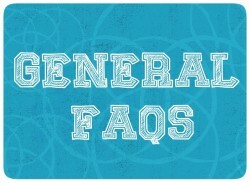 If you have further questions, please feel free to contact us at ImpactLLC@baylor.edu. Can I live in the Impact LLC all four years at Baylor? Yes, students can live in the Impact LLC all four years. The reapplicaton process will begin in October/November for the following year. Students will go through the application process to remain in the hall. We are housed in the newly refurbished South Russell hall. All rooms are traditional style with updated community baths. There are a small number of triple occupancy rooms available as well. CLICK HERE to learn more about South Russell housing options on the South Russell website through Campus Living and Learning. Can I preference my room type? We try to place students in the order of returning Impact LLC students, current Baylor students, and incoming freshmen. There are a limited number of single and triple rooms available, first-come, first-serve (beginning with upperclassmen returners). Please make sure you have communicated clearly with the other student, and if we have the availability, then we will place you together. We do give priority to roommate requests when possible. Returning students may form roommate groups through the housing reapplication online portal so that you can live with the roommate of your choice. Yes! Due to its traditional style, South Russell is one of the most cost-effective options on Baylor’s campus. It’s also one of the most recently updated and refurbished halls. CLICK HERE for more information on pricing for South Russell Hall. Yes! Up to $3,000 in need-based scholarships may be available to Impact LLC students. These scholarships can be stacked with other Baylor scholarships and may be earned each year you live in the Impact LLC. Applications are processed on a rolling basis until all are distributed. Please CLICK HERE for more information on the Impact LLC scholarship! Do I need to be approved to the LLC before applying for the scholarship? No. Please feel free to apply for both at the same time so that we can process your applications as soon as possible. Do I need to live in the LLC to accept the scholarship? Yes. 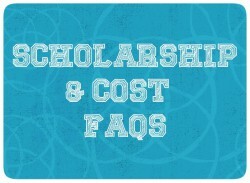 In order to use the Impact LLC scholarship during your freshmen year, you will need to be a resident of the Impact LLC.